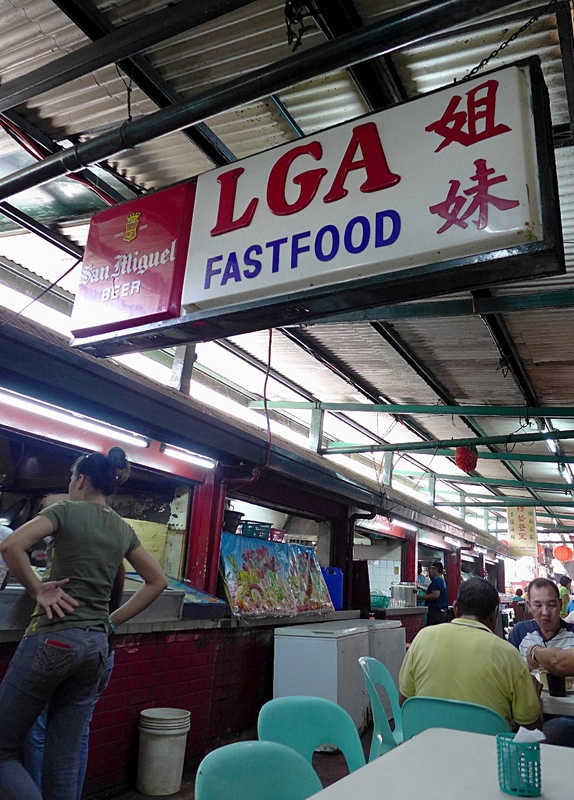 Tired of the Filipino dishes cooked at home, my family and I decided to have lunch one day in Chinatown. We have no known Chinese blood running through our veins, hence we rarely frequent this part of the city. To be honest, it’s only my second time here. Previously being with a group of friends, whom two of which are Chinese and were familiar with Binondo, I hardly paid attention to the directions we took. All I remember was that our first stop was the Delicious Restaurant for the pancit chami, that we ate frog legs in estero, and that those curry beef siomai of Wai Ying truly deserve a praise. I knew early on that I cannot make my parents go on a food trip. There was no way that they could fit all of the food that me and my companions ate a few years back. But, we didn’t make this trip all to deprive ourselves of the tasty Chinese treats available. 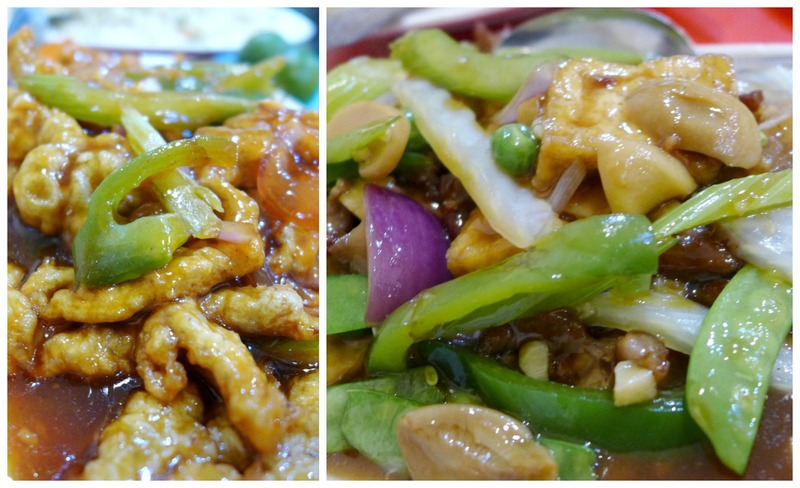 We did what we could — enjoyed a sumptuous meal in one restaurant and bring the rest of the goodies home. First, we made a quick stop at the Sta. 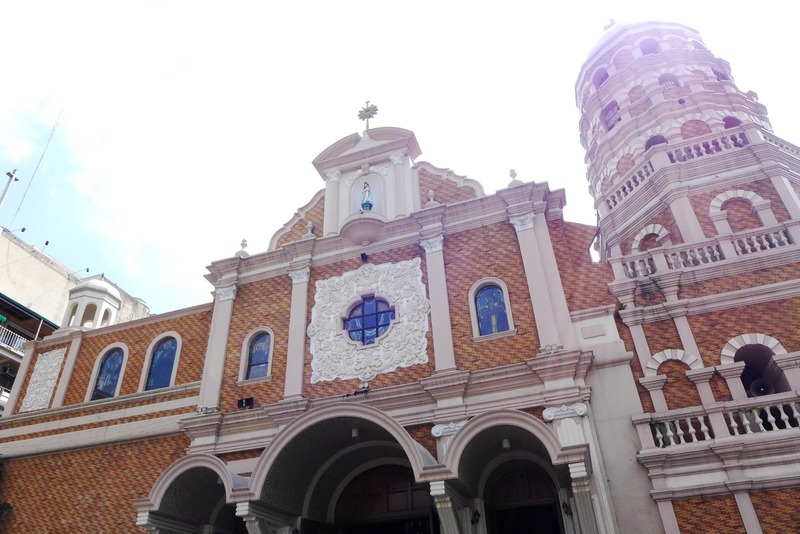 Cruz Church. The church was solemn, despite the number of vehicles passing on its front and the multitude of people walking around. 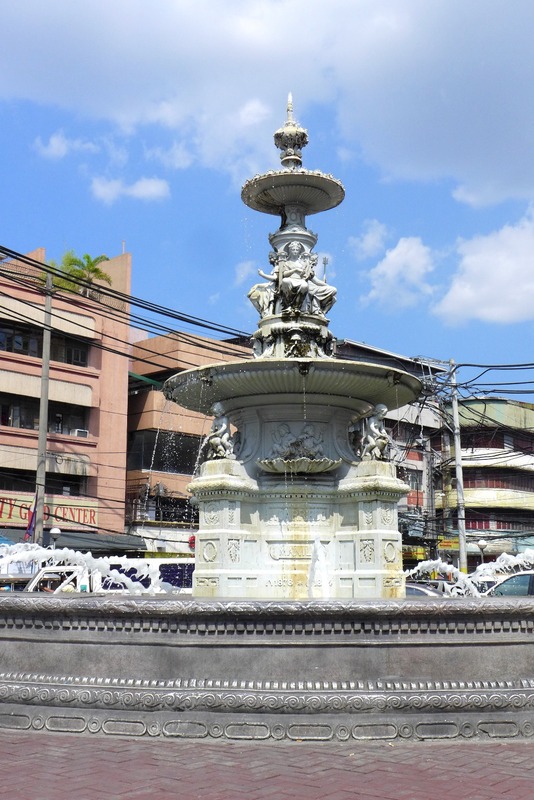 In front of the church was a fountain, and behind that fountain is the gateway to Chinatown. The cluttered streets and uneven sidewalks made it extra hard to navigate the streets, especially if your eyes were already beginning to wander at the jewelry items on display. (I still can’t believe how much gold was for sale here!) I easily spotted the street towards Delicious, although we weren’t headed there. We continued to walk until we no longer knew where we were going, forcing us to stop and ask for directions. It turns out, you just follow the entirety of Ongpin street (though this meant you have to take the left road at a junction), and you’d be at estero in no time. Truth be told, eating at estero isn’t for the faint of stomach. 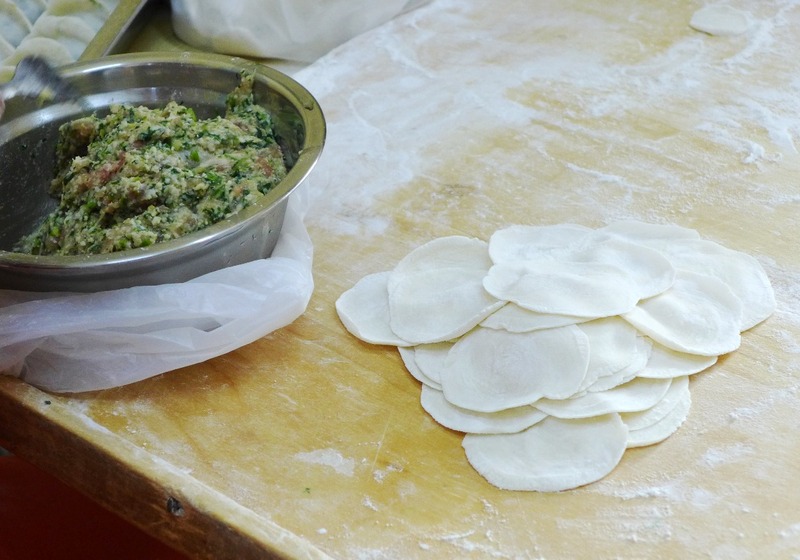 It’s not because they serve such exotic delicacies, but more because of the absence of clean surroundings. Describing the canal water behind the food establishments as murky is a joke; the water was almost black. Add to this the foul smell that you will surely come across when you are at the bridge of the estero. But this doesn’t seem to stop people from crowding the place. 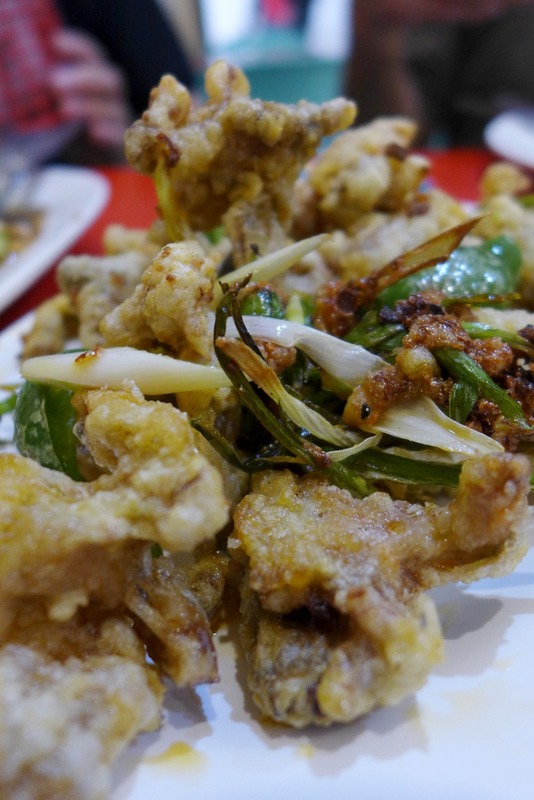 LGA Fastfood is famous for its frog legs, so why not try them? 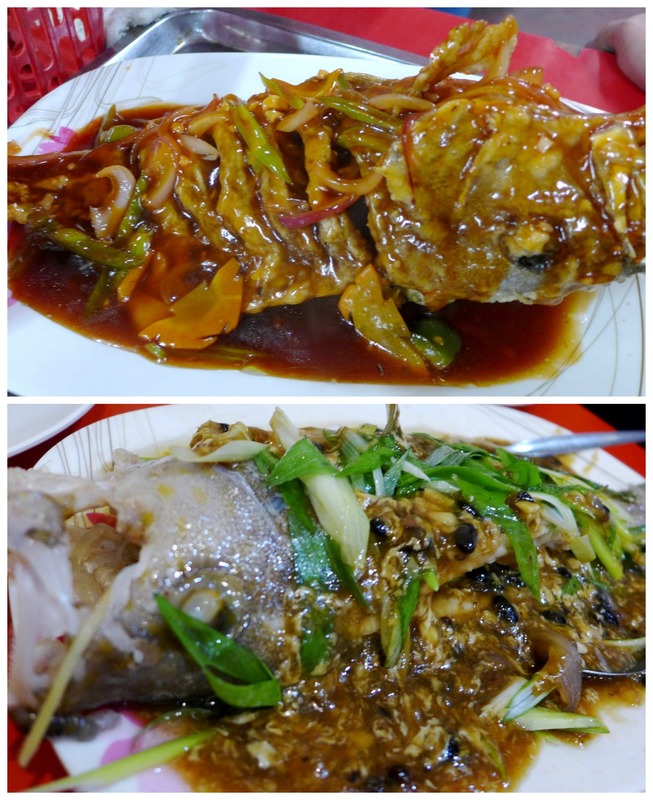 Of course, my parents wouldn’t miss the lapu-lapu, and I wouldn’t skip the sweet and sour pork. Another course of beef and a short order of pancit completed the meal. Plus one big platter of yang chow rice. Yum! All this for just P1200. It was such a good meal. 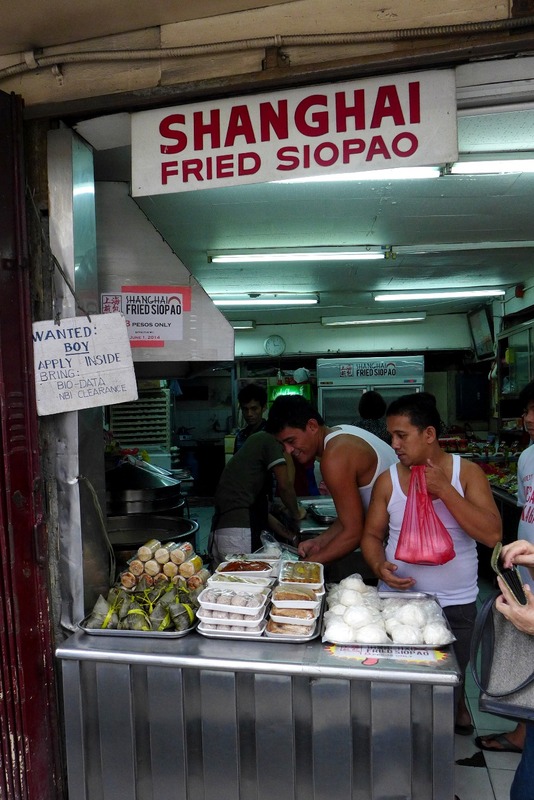 Our stomachs were now full, so we decided to finish walking the entirety of Ongpin Street. Fresh fruit stands, parked vehicles and the uneven pavement made walking a difficult task, though. Stores selling lucky charms, medicinal herbs and groceries dotted the main street. A Buddhist shrine stood at one corner, and the religious never failed to offer incense sticks. 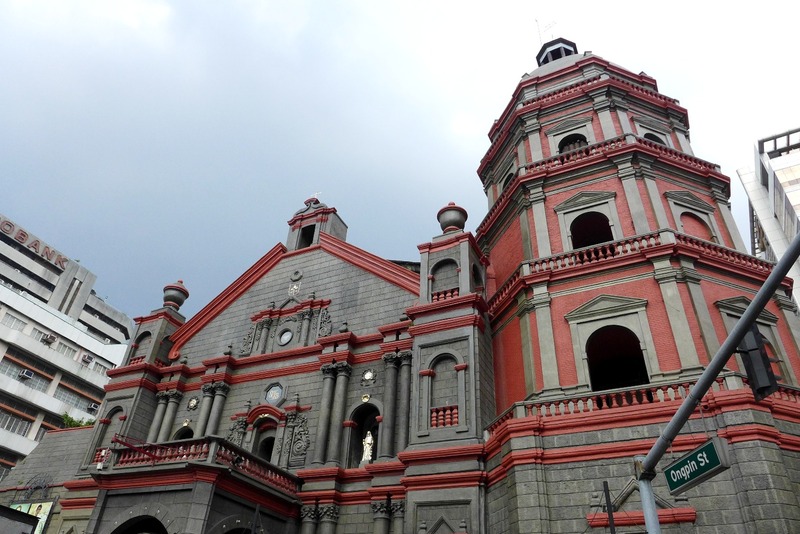 The Binondo Church lies at the end of the road, and we paid another quick visit to this church. 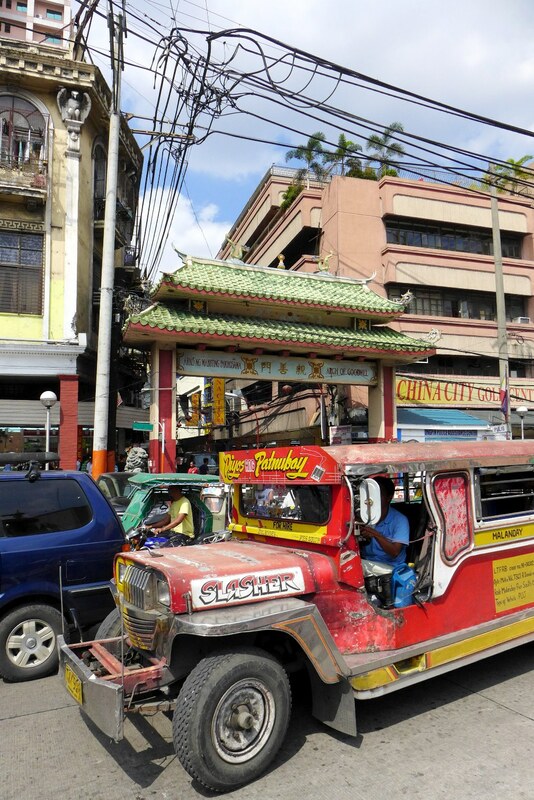 It was only here that I realized how near Divisoria is to Binondo. I really never was a Manila girl! On our way back, we started buying some food to bring back home. 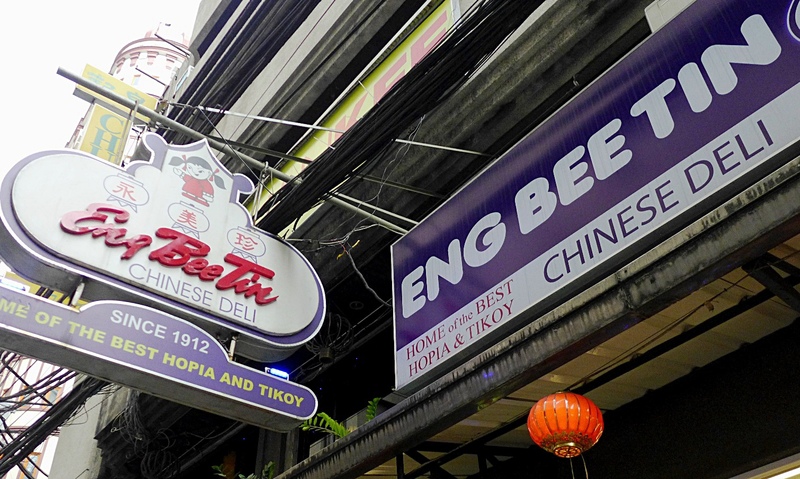 Eng Bee Tin topped the list. 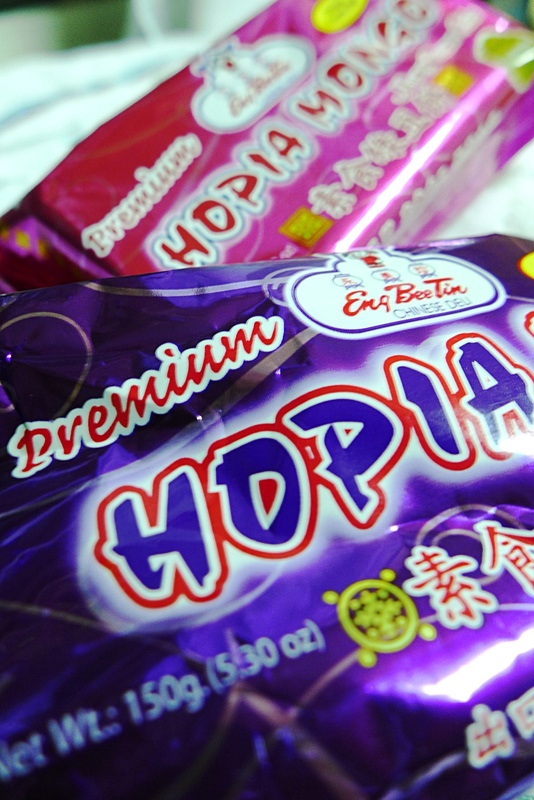 Of course, we’re loyal customers so we bought a few packs of hopia to eat at home. 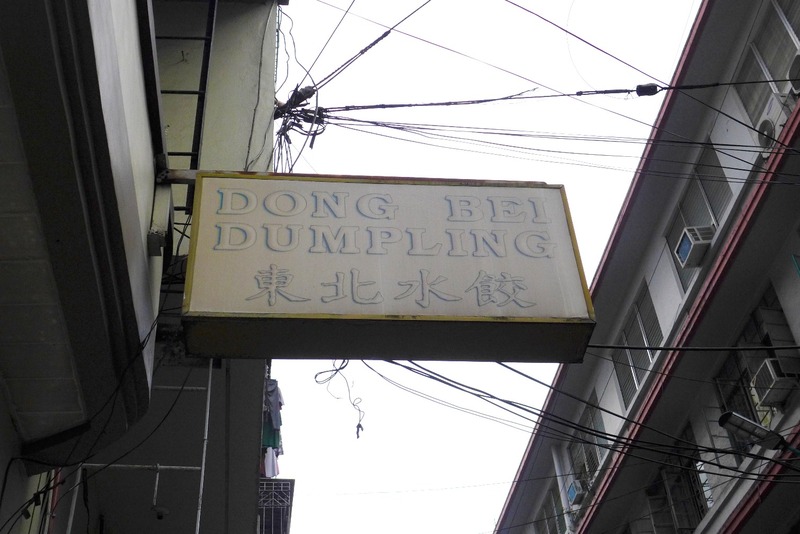 I decided to make a detour to Benavidez, where the famous Dong Bei Dumpling stands. 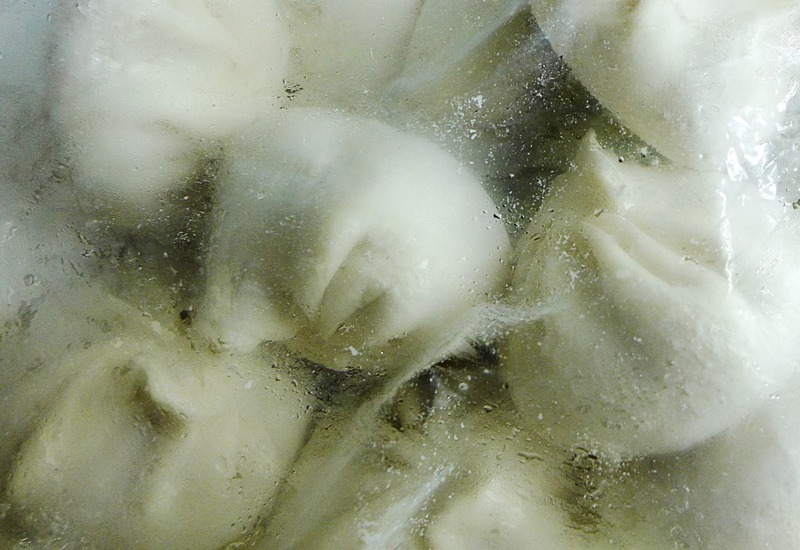 Inside, the workers were busy making the dumplings. Unfortunately, they didn’t have some ready for consumption, so we only bought some frozen ones. 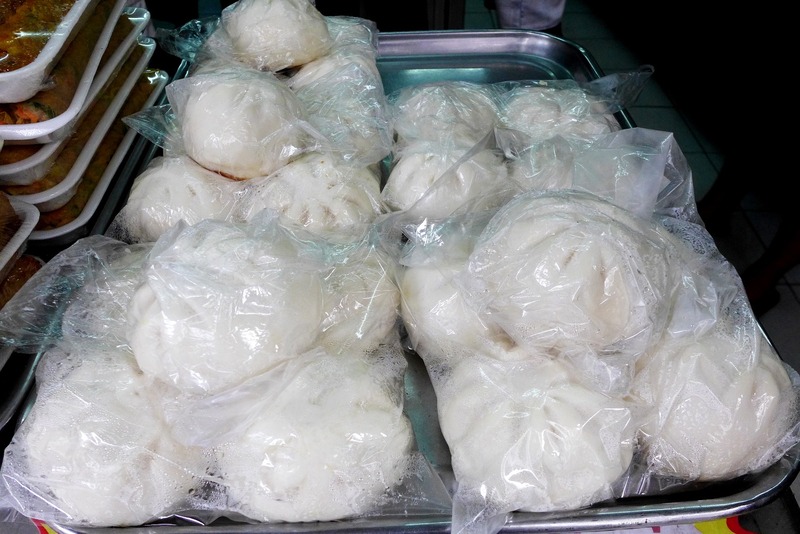 Finally, we stopped by Shanghai Fried Siopao and bought siopao (whose taste was rather forgettable) and a pack of chicken feet (which my uncle thoroughly enjoyed eating at home).